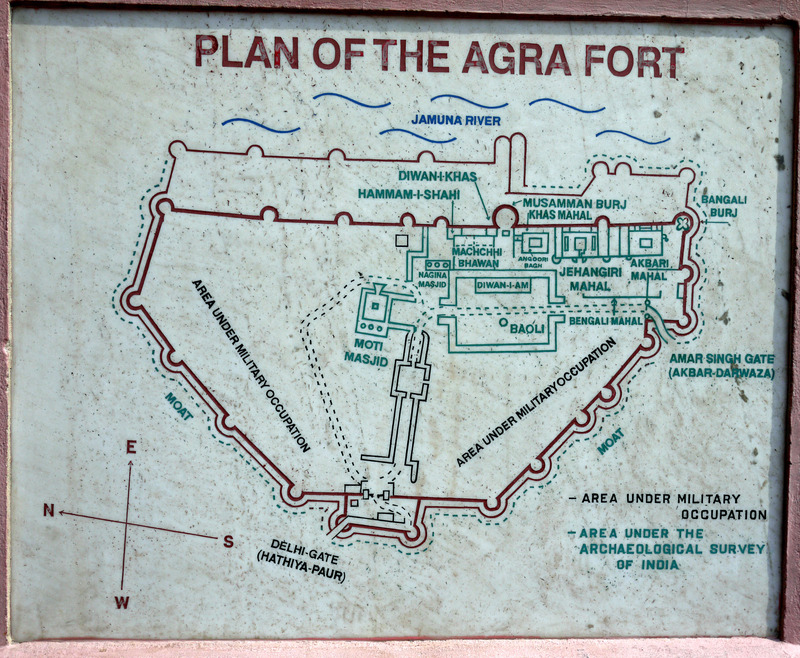 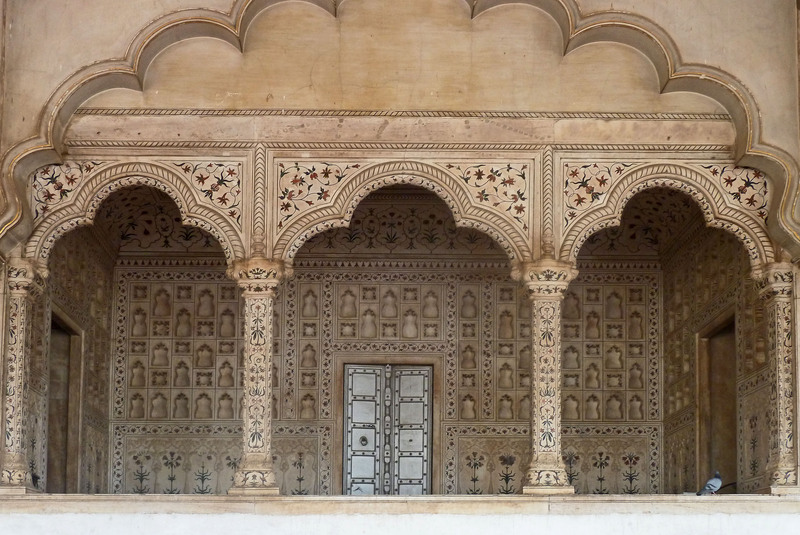 The main feature in Agra is the Agra Fort, which also contained the palace. 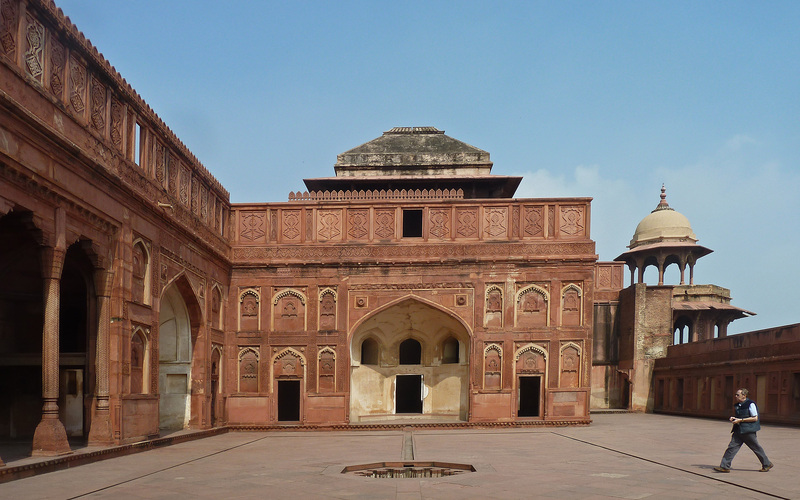 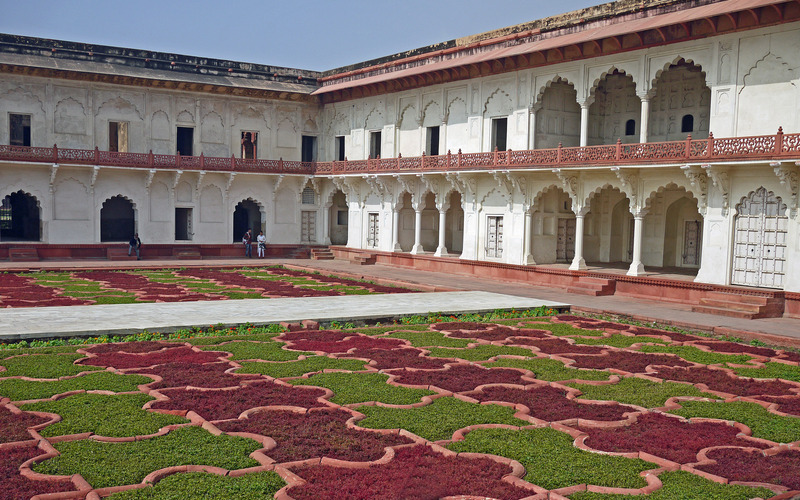 Like the fort in Delhi, it is built of red sandstone, so both are inevitably called the ‘Red Fort’. 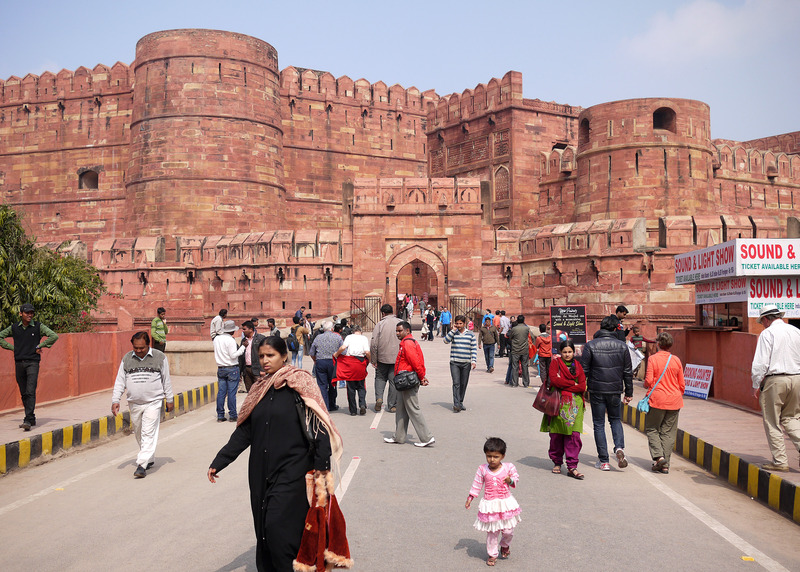 The main tourist entrance is through the Lahore, or Amar Singh gate, as the main Delhi Gate is out of bounds as much of the fort is still occupied by the Indian army. 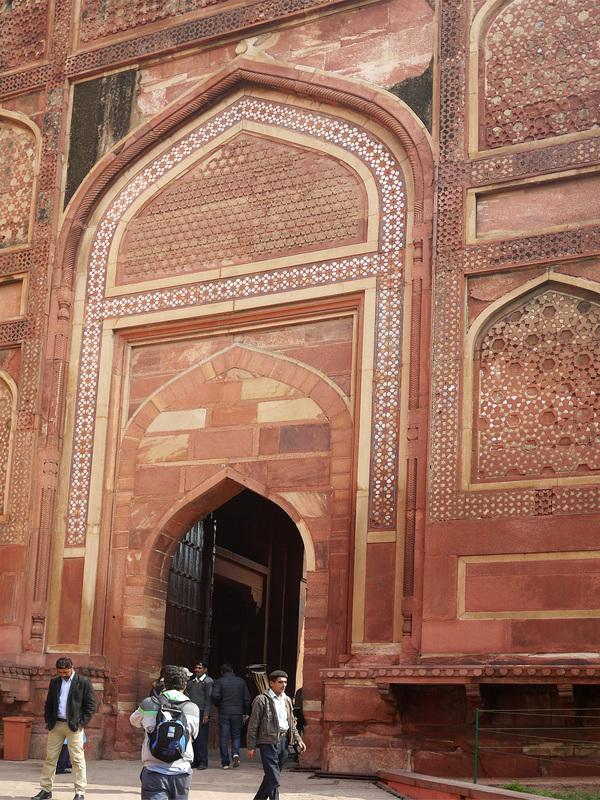 The actual gate is protected by a bastion, built by the last Mughal emperor, Aurangzeb. This tiled Gateway is merely the gateway through the bastion into the enclosure which contains the actual gate. 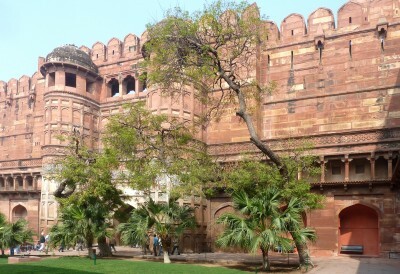 The elegant courtyard inside the palace. 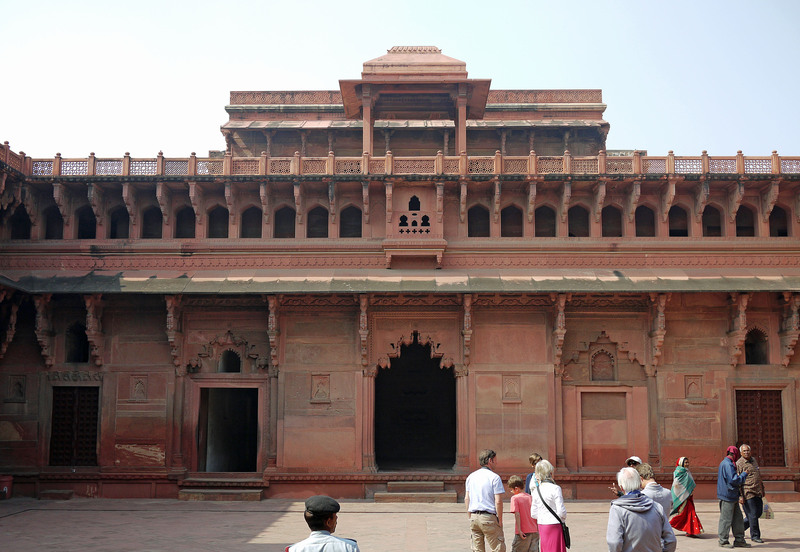 The inner courtyard it is even finer than the central courtyard with elaborate carving more in the Hindu than the Moslem style, and no doubt prepared by the native Hindu workmen. To the right is the river and the Pavilion whose cupola can be seen overlooks the river. 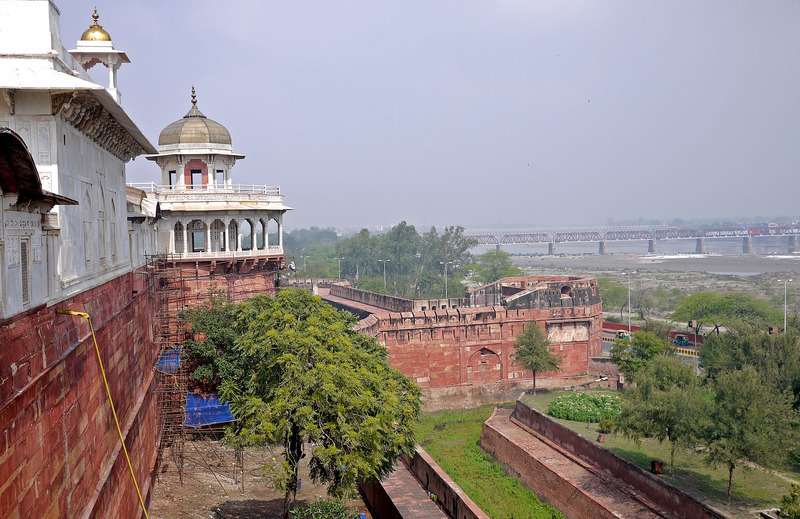 Here is the view from one of the bastions looking along to the large bastion or pavilion which gives a magnificent view of the river including the Taj Mahal. 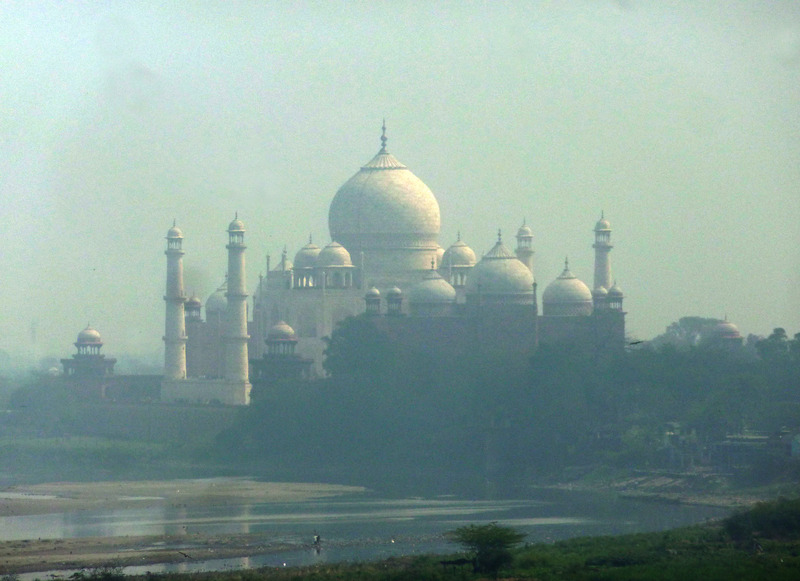 In the distance can be seeing a relic of the British occupation – the railway bridge over the river. 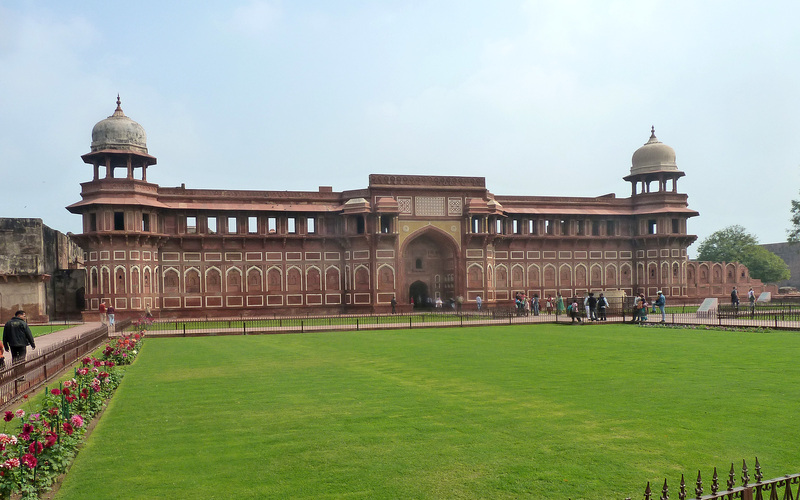 The British did not build many grand structures in India – their main monuments are the railways and their bridges. 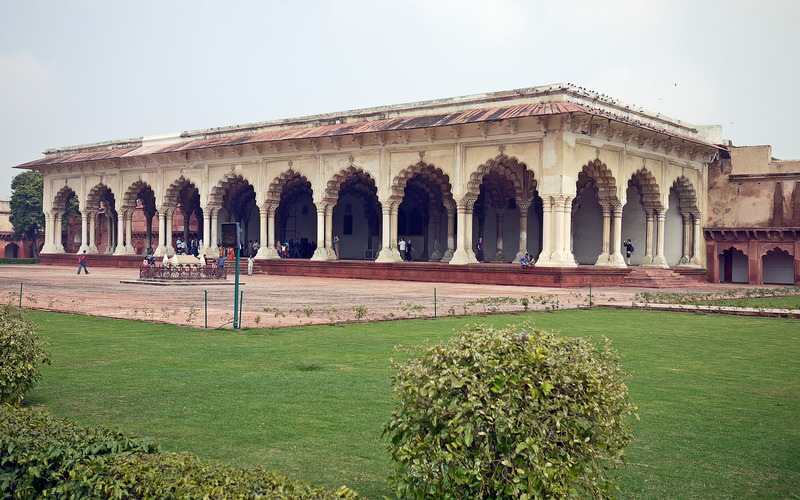 The fine octagonal pavilion, known as the Mussamman Burj was part of the rebuilding of the Palace by Shah Jahan, the most artistic of the Mogul emperors. 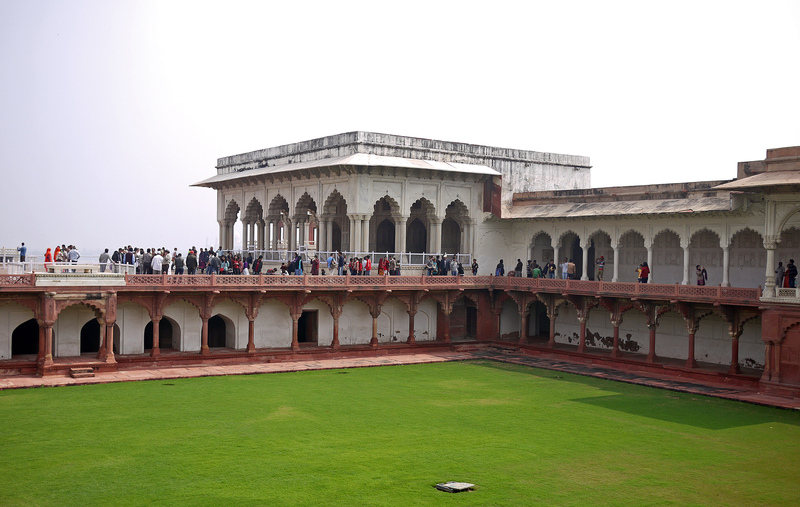 However late in life he became senile and his sons fought it out over the succession to him and his third son Aurangzeb eventually won out and imprisoned his father for the last eight years of his life in this part of the Palace from where he could look out across the river to his finest building, the Taj Mahal, built in the memory of his wife and where eventually he too was buried alongside his wife. 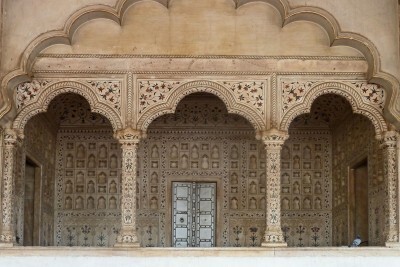 The throne room where the Peacock Throne was set.